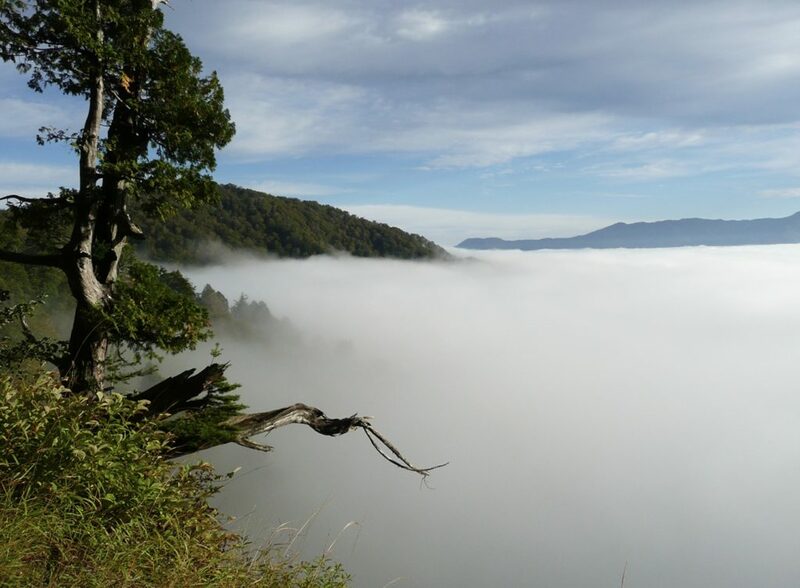 Soon after crossing the finishing line at Nobeyama 100k (classic runner’s thing), I was already thinking about Shirakawago that holds a dear spot in my heart, a redemption race sort to speak. This year was my 3rd participation but this time around I wasn’t just with the wifey as I dragged some of my running mates along with me ! To my surprise, I was able to jump back into it pretty quick. I forced myself to take 10 days completely off running (still going to the gym and hitting the elliptical every other days), after that I was able go back to my normal weekly mileage of ~120km. 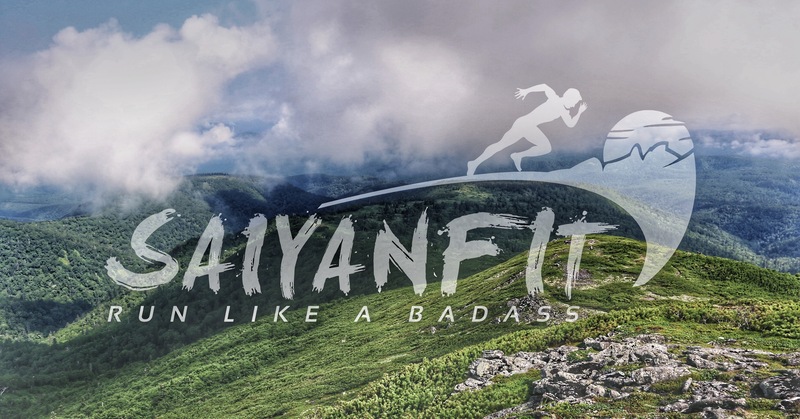 After what happened in Nobeyama 4 months before, I thought a lot about what I could do to improve my training and not to repeat the same mistakes I did. First my raw preparation had to change, if you keep repeating the same thing over and over, chances of improvement are very slim to say the least. So I decided to focus more on high-end speed and endurance on hill climbing and also on muscle resistance over long times of running. I gave up on running flat intervals like I used to do, doing all of my hard intervals on an incline treadmill set at 10%. Extremely brutal, but extremely efficient. Then, the second biggest component of my training block was the Back to Back long Runs – aka BBR (or sometimes back to back to back). That I believe was the key to my improvement. Over the course of around 14 weeks I built up my BBR from around 70km all flat to about 90km all hilly, all on the road. Some readers might think that it was all easy for me, that I just need to do what I think I should do, that grinding is not part of my vocabulary. Well, that’s wrong. The thing I’ve come to learn over the years is that it takes step, patience and time to get a target/goal. Same for the weekly BBR, it was new territory for me. But I keep reminding myself that there is a life outside of our comfort zone, certainly not pleasant, but the more we explore, the less it feels unpleasant, until that zone becomes ours ! After 2 months, I could recover from the BBR fairly fast, within 2 days usually, one complete rest day followed by an easy day. On Wednesday I was ready to hit the road hard again. Some weekends were tougher than others, but three were particularly challenging. The first one was when I ran up Mitake-san 4 times in one single run. 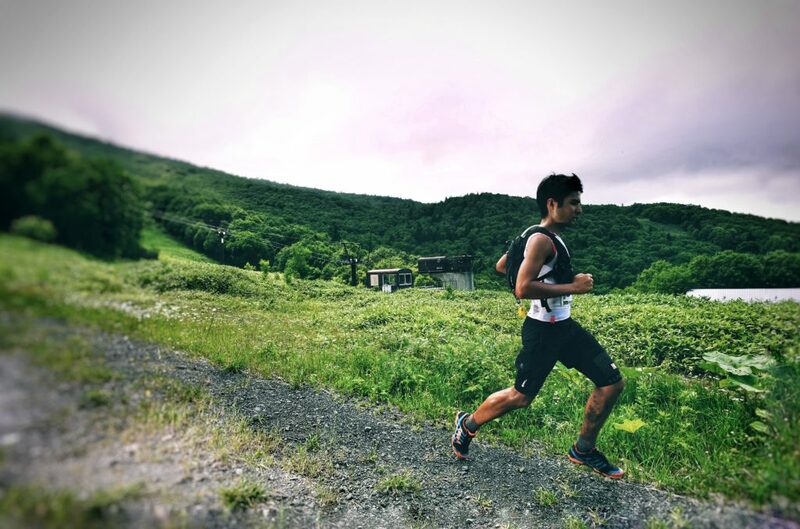 The second was probably the C-race I did in Hokkaido, a trail race up to Taisetsuszan where I won my age group and finished 10th overall. Then the last one was 3 weeks before the race where I ran up Iwaki-san during a 59km run after a 30km hilly run the day before. I kept my usual running frequency, 6 times a week, no double runs, 1 complete rest day on Mondays and two strength sessions per week. I have also learned one more thing during this build-up: running down 1000m on the road is way more harder and brutal than 1000m down on a trail. 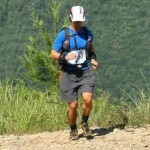 After Taisetsuzan trail race that had 2200m of downhill (same as Nobeyama), my legs were fine the next day. In fact I recovered super quick from the race, so quick that I ran a 13k tempo run the very next morning of the race without any problem! By contrast my 4-times-Mitake-san run (same amount of downhill) took me three days to recover and I was sore for almost 5 days. Just like previous years, the logistic for that race is a real pain. 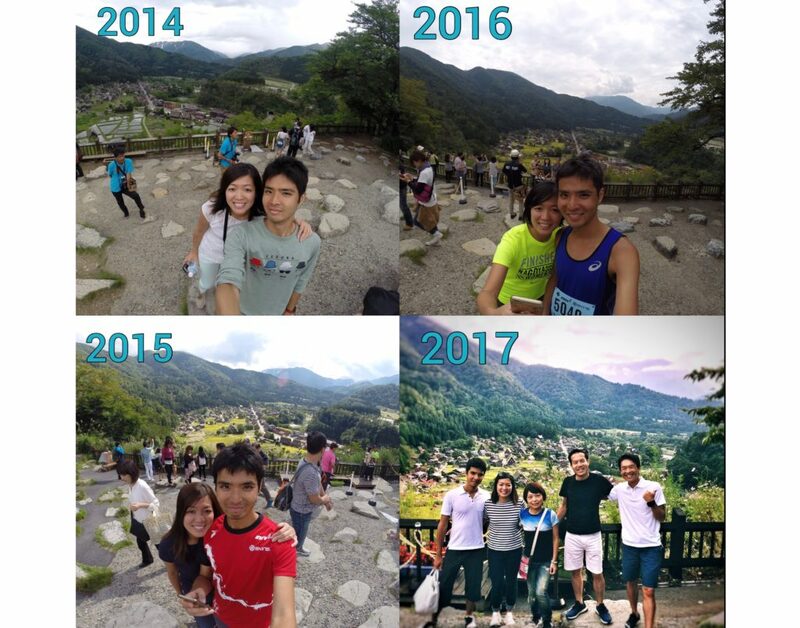 As opposed to the previous editions, this 5th edition have you start from Shirakawago Village and finish at Hakusan area for the 70km course and not too far from Komatsu for the 100km runners. Finding a hotel near the start is not easy, accommodation is really scarce and you need to plan early, but this is the option we opted for (you could also find a place near the finish but then you’d have to drive all the way the start). Derek drove us to the start and the wifey as usual was there to cheer, take some pictures and take our belongings back to the car and to the finish line (man, don’t know what I would do without her) we got to the venue about 40min before the start. Derek lined up for the restroom for what we thought was a casual leak, but it took him forever, he showed up 3min before the gun-start like a flower. 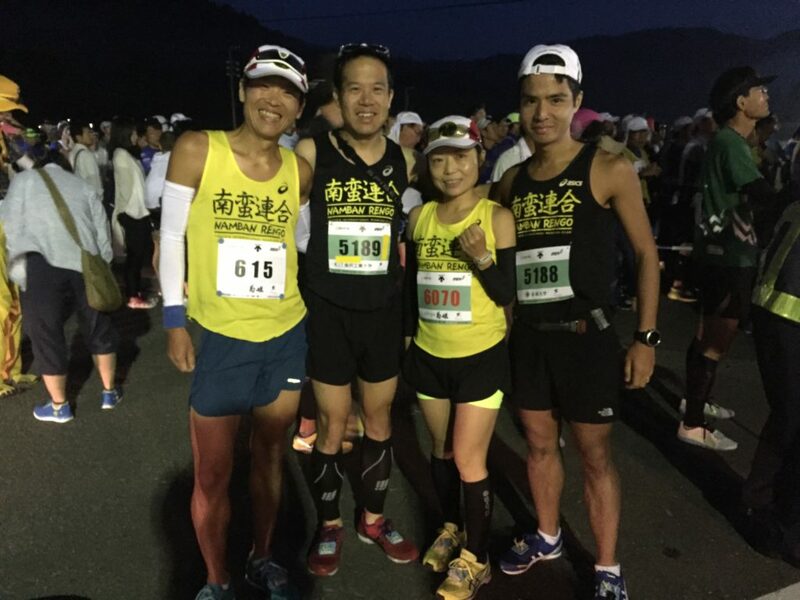 All of us except Yuichi (Picture above, first on the left) were racing the 70km. 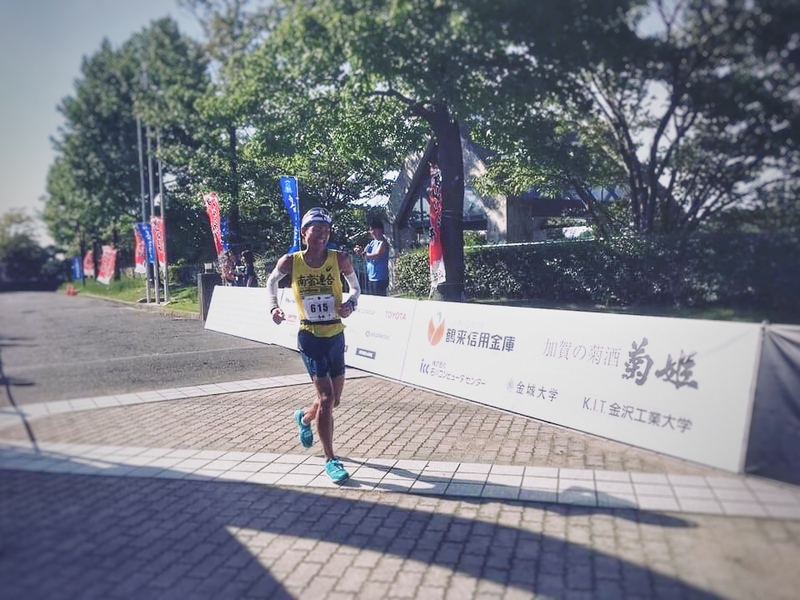 Yuichi, one of my Padawans was going for a sub-10 on the 100km course. He had been preparing for it for the past 3 months. He also followed me on the diet of BBR and hilly long runs. One of the keys on that race is obviously to run down the 20km to 40km stretch in a controlled way, making sure not to trash the legs for the final 30km (or for the last 60km for Yuichi !! ). If you trash your quads, there is no turning back (done it before), you are guaranteed a painful eternal death march until the end. I think I was placed around 8th or so at 30km. I crossed the 42.2km mark in 3h19, 6th place. I then passed a guy at 45km and then raced again another until from 45 to 52km, after which I was pretty much on my own. I crossed the 50km mark in 3h54, 4min faster than my last year’s time on the 50km course (3:58)!! I saw the 3rd placed runner about 300m ahead of me. I was closing the gap little by little. I was in a lot of pain, my legs were very heavy, my heart rate high (170bpm), it was hot (28degrees), no shades. 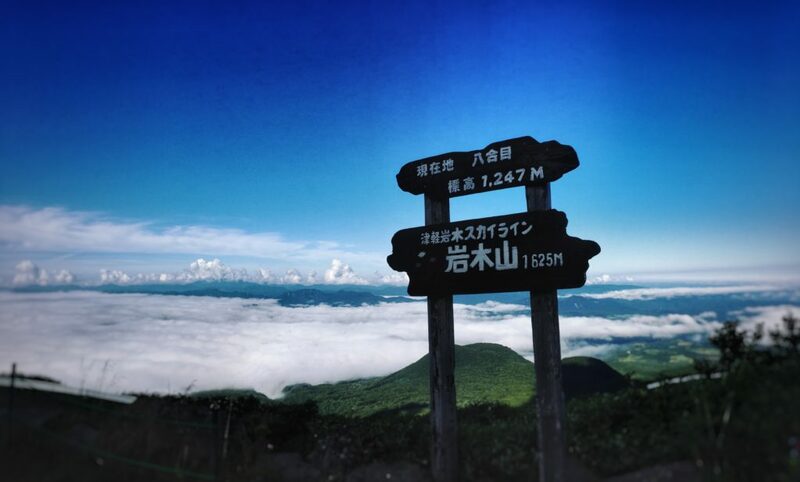 The last 15km were very tough, but I played some mental game as usual to help me go through: “22km, that’s only Okutama to Kabe, 15km that’s only 3 Palace laps, 5km that’s one lap, 3km that’s just a bit more than 2 Gaien loop… ” at about 1.5km to the finish I was stopped by a traffic light for maybe 10~15s (WTF??!!). I kept running, as hard as I could, the last 500m were all uphill, fairly steep. It’s all mental at this point anyways. As hard as I tried, I wasn’t able to catch the guy and he broke the tape just in front of my eyes, 25s to be precise. I was still very happy when I broke the tape, I made a big improvement vs last year (my average pace this year over 70km was faster than last year’s pace over only 50km). I also gained 2 places – from 6th overall to 4th, 5:29:51. The wifey as always was waiting for me with a big smile but this time around – as opposed to my last 100k – I was happy to respond with a big smile back. Yuri and Derek came shortly after. Yuri finishing first woman, and Derek 12th overall. In terms of ratio results/training, I think Derek is on another planet. The day was not really over. My Padawan Yuichi was still running out there and the sub-10 was definitely within reach. We were checking his splits live on the web almost every 10min, he crossed the 90km mark in about 8h30. He had a decent buffer, but you never know, anything can happen during the last 10km of a 100km mountain race. At about 2:30pm (9h30min) we waited at the finish, all waiting for Yuichi with our phones, camera in hands etc. I felt like every minute was longer and longer, like if I was racing myself. Yuichi is an athlete that never complains about the difficulty of the training. Whether during the training camp back in May or during very hard training runs like the double Nokogiri-yama, Yuichi never complained (for better or worse). He always approached training with a big smile, no matter how hard and difficult it could be. 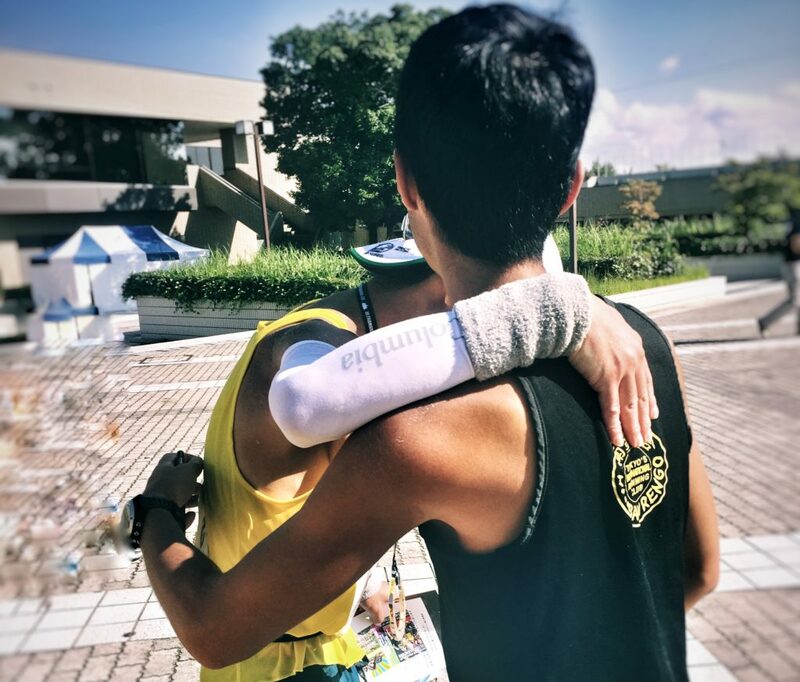 Whenever I ask him “you’re ok Yuichi?” during a run, whether after 5km or after 50km, he always gives me the same genuine words “I’m ok coach” with the exact same smile. We were all screaming his name when we finally saw him, he ran the last 100m with his signature smile. My finish was kind of tainted by a 4th-almost-3rd-place. I couldn’t help but feel frustrated not being able to reach the podium again. But my perspective completely changed instantly and my mind made a 180degree turn the moment I witnessed the happiness in the eyes of my Padawan. On one hand you have the podium, the glory and everyone looking at you, and the other hand you have the 4th place and this unique and special moment with your athlete. My choice is made. This was probably one of my best week end – of not the best – of 2017. Shirakawago will stay engraved in my heart for a long time as I am bringing back this year again invaluable memories. thanks mate, congrats on your Ironman that day too !!! That’s great that the hard training paid off without stomach issues or other problems that have bothered you in the past. Congratulations on a great performance. Wonderful race and report. I am inspired by all of your stories! Congratulations! And Derek… wtf. He is not normal for sure.